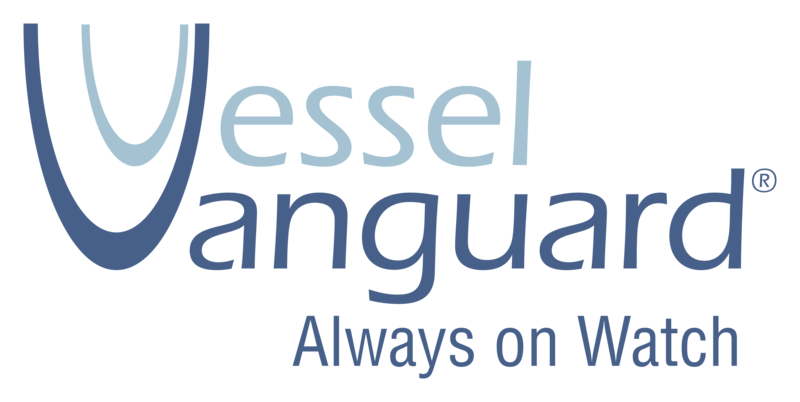 Since arriving back in the U.S., after four (4) years cruising the Caribbean, we have received many inquiries about our next port(s) of call, and go-forward cruising plans. Long story short, after arriving in North Palm Beach, FL, we were at a cross road. Either head down the East Coast of FL, towards the Keys, around the southern tip of FL , and up the FL West Coast, or set a course northwest, to cut across the state via the Okeechobee Waterway. The Okeechobee Waterway is a man-made waterway that stretches from Stuart, on the East Coast of Florida, to Fort Myers, on Florida’s West Coast. A series of canals, including the Caloosahatchee River to the west, and St. Lucie Canal to the east, link Florida’s East and West Coasts to Lake Okeechobee in the center of the state. We opted for the Okeechobee Waterway since it was a shorter route, and we were coming up on some deadlines for re-enrolling the boys in a bricks and mortar school. Hence, we positioned ourselves in North Palm Beach until the next appropriate weather window, and locks’ schedule, allowed us to cross from the East Coast to the West Coast of Florida. During our E-W Florida crossing, we encountered countless car and railroad bridges: swing bridges, draw bridges, fixed bridges, etc. Some, we could pass right under because they were high enough for us to clear. At lower clearance bridges, we had to hail the various bridge operators on the VHF radio to have them open the bridge so that we could safely pass through. While transiting the “Locks,” (a series of water-like elevators), we positioned the Pilots’ Discretion in the lock basins, which then closed and either added or drained water before opening to let us out at the appropriate water level on the other side. Along the way, we made stops at Roland & Mary Martin Marina, in Clewiston, Fort Myers, and Venice. We had dolphins and jet skiers hitch rides in our wake along the way, and the sunsets were as spectacular as ever. Sunset in Venice, FL (2018)At long last, we reached the Anclote River, Tarpon Springs, FL. 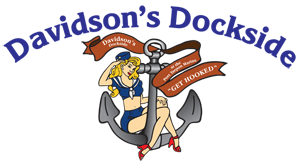 We slowly made our way up the river to our home port, Port Tarpon Marina, which had served as our departure point four (4) years previous. To say it was a bittersweet surreal moment would be a dramatic understatement. Our family is most certainly not disappointed. We are tremendously grateful for our unique experiences and adventures. We have lived the dream, and will continue to do so. Since returning to Florida, it has been a whirlwind of nonstop activity reintegrating as part-time landlubbers. The changes have been quick and dramatic, some of them easy, others more challenging, We will provide updates on the reintegration process after we are more settled. In any event, it is all part of the next leg of our journey, which includes, among other things, a new addition to our crew! More about that in our next post …. This entry was posted in Florida, Okeechobee Waterway and tagged Anclote River, Caloosahatchee River, East Coast of Florida, Florida, Okeechobee Waterway, Port Tarpon Marina, St. Lucie Canal, Tarpon Springs, West Coast of Florida on November 16, 2018 by Theresa. Early in the morning on June 6, 2018, Pilots’ Discretion eased out of her slip at the Old Bahama Bay Marina, on Grand Bahama Island, and pointed her bow west for what would be her final international leg of our 4-year Caribbean odyssey. There were brisk winds of 15-20 knots out of the west, as we passed the breakwater heading out into the Gulfstream. The resultant seas were not particularly large (4-6 ft), but the period of the waves was a very short 2-4 seconds, giving us an uncomfortable ride. I don’t think anybody aboard was really looking forward to this day, and it just felt appropriate that the sea conditions were not unsafe, but not pleasant either. We pressed on through early morning showers and passed several other yachts going the other way, heading east toward the Bahamas. When we were about 20 miles west of Grand Bahama Island the seas flattened out and the skies cleared. Florida was already clearly visible on our radar, but not yet on our visual horizon. Four hours after our departure, the waterfront condos of West Palm Beach became visible as we headed for the Lake Worth Inlet. After cruising for days at a time seeing few boats at all in various parts of the Caribbean, the high level of traffic off the coast of Florida was just one more subtle reminder that we were reentering our home environment. The young Coast Guard boarding team came aboard our vessel and reviewed our paperwork and our safety systems. Happily, they did not find any discrepancies. After they had completed their official duties we had a chance to share stories of “The Guard.” It was a lot of fun to compare notes since long ago I had served on many Coast Guard boarding teams in the Gulf of Alaska, and the Bering Sea. Ryan and Ronan were fascinated by the patrol boat and wanted to know how much power it had and how fast it would go (40+ knots). The Coast Guard crew was thorough and professional at all times. I hope those Coasties sensed how proud our family is of their organization and the individuals that serve our country via the USCG. After the Coast Guard departed we entered the Lake Worth inlet, then turned north on the ICW toward the North Palm Beach Marina. One hour later, we pulled alongside the fuel dock as a thunderstorm broke out with a torrential downpour. Soaking wet, the crew of Pilot’s Discretion refueled her and cleared inbound with US Customs. Pilots’ Discretion is now back in the United States, our journey is nearly complete. This entry was posted in East Coast of Florida and tagged Boarding, Florida, Grand Bahama Island, Gulf Stream, Gulf Stream Crossing, ICW, Lake Worth Inlet, North Palm Beach, north palm beach marina, Old Bahama Bay Marina, U.S. Coast Guard, USCG, West End, West Palm Beach on August 7, 2018 by Randy. 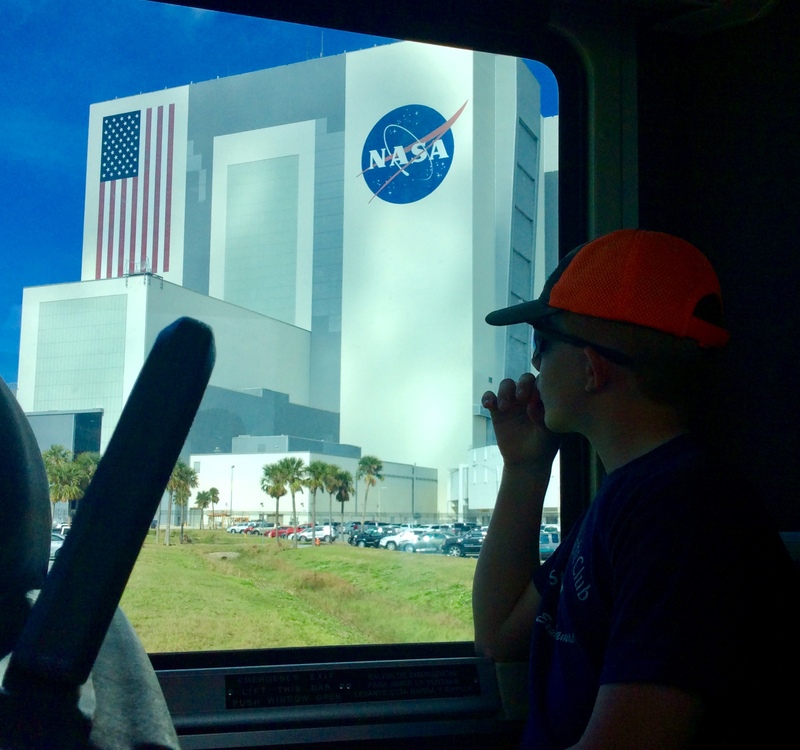 Recently our family took a trip to Cape Canaveral, Florida to visit the Kennedy Space Center. On the last day visiting our grandparents, Ronan and I got the feeling everybody knew something that we did not. That was because they did. 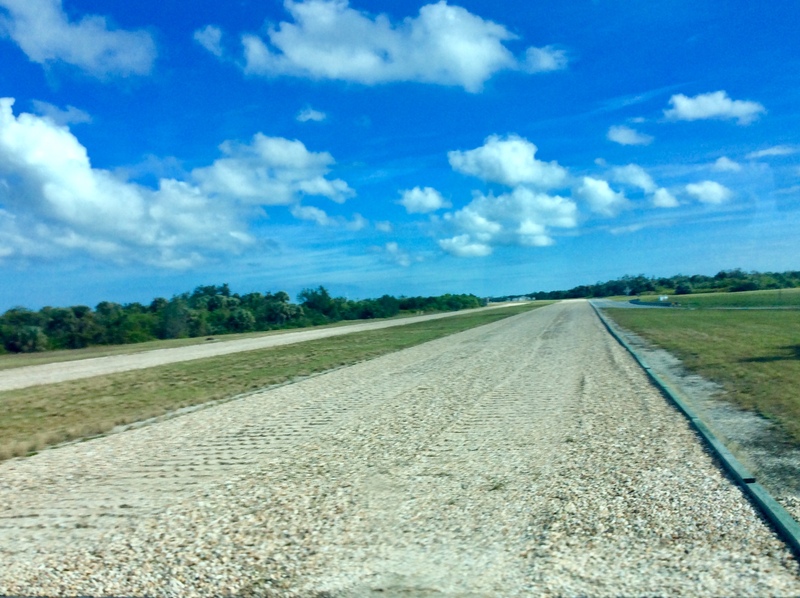 They told us that, “The plan for tomorrow has certainly changed; it will be a surprise.” Before the day was over we were told we were heading to the Kennedy Space Center, and we were all very excited! Welcome to NASA – Get ready to explore! The next day we drove across the state to Cape Canaveral. We went to a hotel and waited until the next day to visit the Kennedy Space Center. 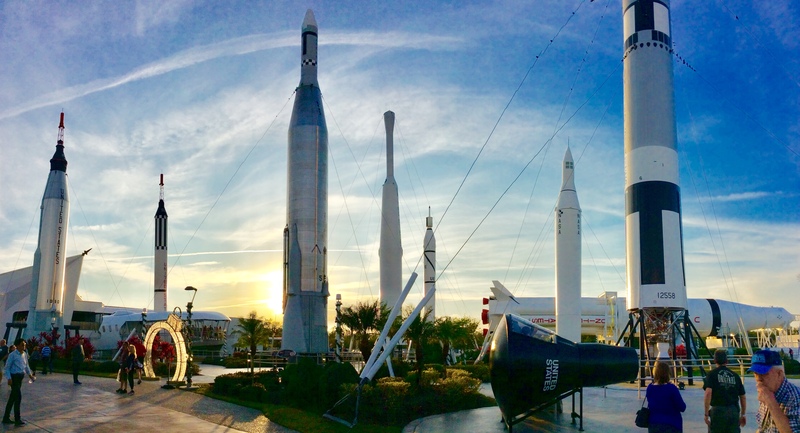 After arriving the next day we walked through the rocket garden (very cool) and through the whole space center to where the bus tour originated. 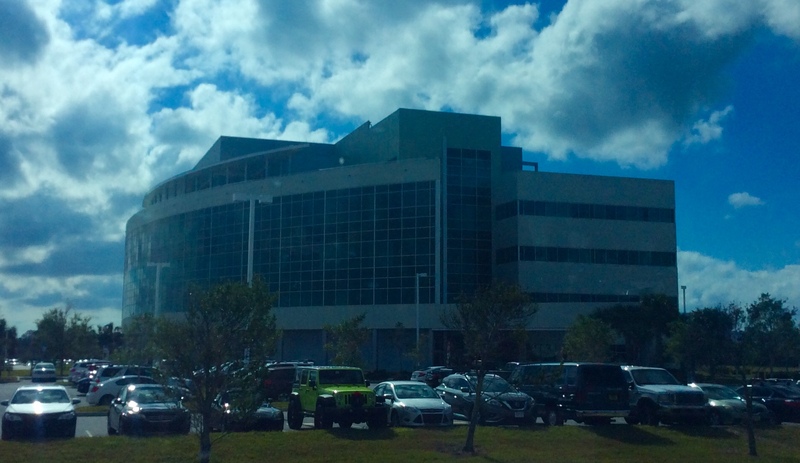 The 2.5 hour bus tour provides a great introduction and overview of the Kennedy Space Center. Our bus driver was a very knowledgeable guide. He pointed out every alligator we saw until we got to the Vehicle Assembly Building. After pointing out each alligator, he would say, “5,999 to go, 5998 to go, 5997 to go,” and so on. First, we came upon the Vehicle Assembly Building (“VAB”). It was HUGE! Our guide informed us that it is the largest (by volume) building in the world. He said the American flag on the side of the building was six stories tall. 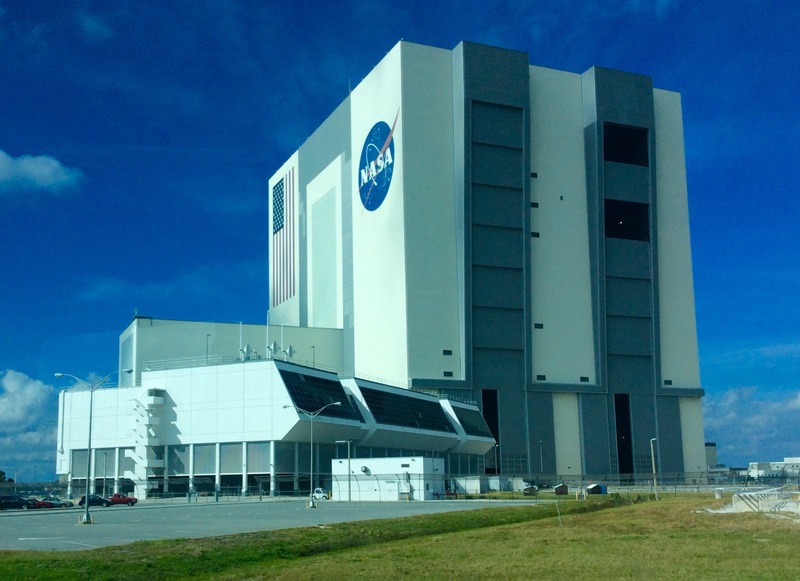 NASA uses this building to assemble the space craft, in the past including the shuttle, the exterior fuel tank, and the solid rocket booster. 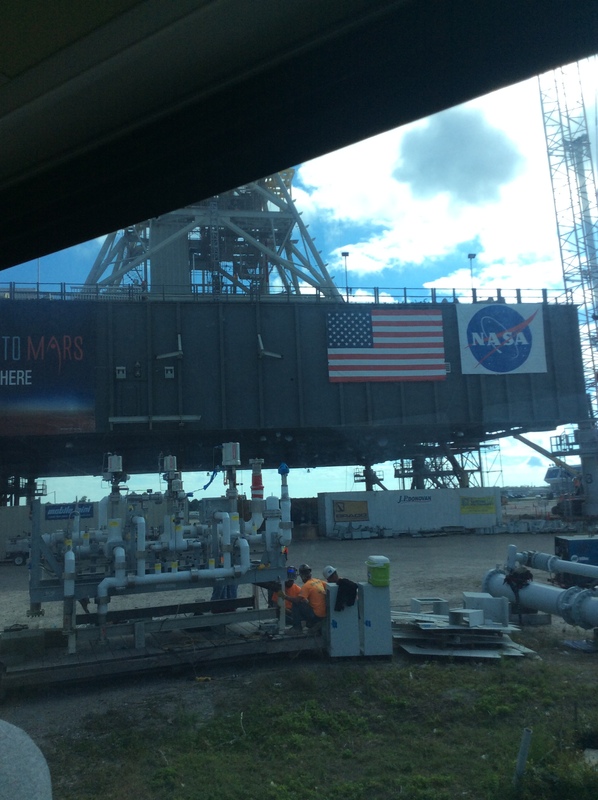 Shortly after driving by the VAB we saw the massive crawler used for carrying different kinds of spacecraft to the launch pad. To transport the spacecraft from the VAB to the launch pad NASA opens up one side of the VAB and puts the spacecraft on the crawler. The crawler travels on the three mile crawlerway to the launch pad. An interesting fact the guide told us about the crawlerway was that it was made of Tennessee River rocks. NASA used Tennessee River rocks because they do not contain iron and therefore would not produce sparks. We also learned that the crawlers travel at a speed of approximately one mile per hour (hence its name “Crawler”). Next, we traveled the three miles out to the different launch pads. There are a great deal of things that could go wrong during a launch and the spacecraft has the explosive capability of an atomic bomb. You do not have to be a rocket scientist to know (and want) to be far away from the launch pad when a launch occurs. That is why mission control and the VAB are a little over three miles away from the launch pad. We were told about how going to space was a challenge that has been recently taken on by private industries in addition to NASA. A couple of these companies are Space X and Blue Origin. We passed Space X’s equivalent of the VAB. Their building was not nearly as tall but this is because they assemble their spacecraft horizontally. When bringing the spacecraft out to the launch pad they rotate it into a vertical position. Space X has their own launch pad. On the way back towards the space center we stopped in the Apollo/Saturn V Center. It houses The Apollo and Saturn V rockets as well as part of the first mission control. After a short movie we entered into a large room with part of the original mission control. While in mission control it was like being there during the first launch. The room was rigged to play the timer, the checklist, and even the people’s voices just as it was during the first launch. After that experience, we got a new guide that showed us the real Saturn V rocket. It was gigantic!! The rocket ran the length of the whole building and was divided into three parts. When the bus tour got back to the Space Center we went into the Atlantis building. There were tons of cool presentations and the real Atlantis Space Shuttle. We could see the dents and marks on the shuttle where small meteorites hit it. We then went into a realistic shuttle takeoff simulator and even tried a shuttle landing simulator. We did not leave until we all were able to successfully land the shuttle in the simulator. We spent a lot of time in the Atlantis building before going to the IMAX movie. We saw the movie “A Beautiful planet.” It was a great movie that gave us a different perspective of Earth. After that we took off back to the hotel. Day two of our mission we got to the space center early. We started the day off with the astronaut encounter. NASA astronaut Brian Duffy gave us a personal presentation and shared his experiences in outer space. His presentation, unlike most other things in the Space Center, was like a personal journal. He explained what life was like for him, and his fellow astronauts, from an astronaut’s prospective. After the astronaut encounter we went to see the second IMAX movie, “Journey to Space.” The movie was about going to space past, present, and future. When the movie was over we went back through the Rocket Garden and the on to the Heroes and Legends exhibit. After watching a short 3d movie, we walked through the U.S. Astronaut Hall of Fame. The astronaut Brian Duffy, whom we met earlier, was one of the most recent inductees being inducted just last year. After going through the Astronaut Hall of Fame it was time for us to go. We all had fun being astronauts for the day (two) and overall the experience was out of this world! 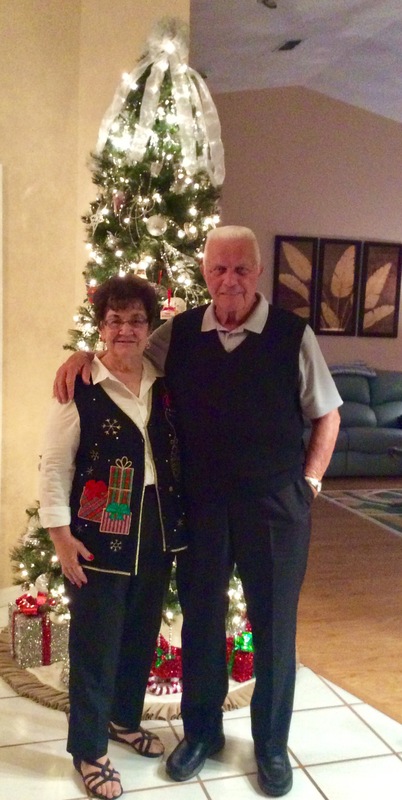 I hope everyone had a very merry Christmas and will have a happy New Year. This entry was posted in East Coast of Florida and tagged Cape Canaveral, Florida, Kennedy Space Center on December 28, 2017 by Ryan. First, thank you, to everyone, for reaching out to see how Pilots’ Discretion, and her crew, fared as Hurricane Irma tracked through the Caribbean. In preparation for the storm and in accordance with our hurricane plan, we spider tied Pilots’ Discretion, with doubled lines, in a double slip, on a floating dock, alone with no other boats, in St. Lucia. Irma was set to track north of St. Lucia, however, to be on the safe side, we left the boat in St. Lucia and flew to Florida to stay out of harms way! As predicted, Hurricane Irma passed north of St. Lucia. We were incredibly grateful to learn that our pre-hurricane preparations were sufficient, and that St. Lucia was spared from the ferocity of the storm. The island received some rain and wind from the outer bands of the storm, but on the whole, the island and our boat, weathered the storm and are fine. Having flown to Florida, we then holed up with family in Spring Hill, just north of Tampa, on the west coast of Florida. Having just gone through the hurricane preparations drill in St. Lucia our crew was ready and able to assist with preparations for the “high impact” potential hit headed for our relatives in Spring Hill. We listened to reports, and observed, painfully, the pictures of the devastation from the direct hits on Barbuda, St. Barthélemy (St. Bart), St. Maarten/St. Martin, Anguilla, Antigua, the British Virgin Islands and Puerto Rico. We have travelled to all of these islands in previous cruising seasons, and our thoughts and prayers go out to all those affected by the storm. In Florida, the original forecasts had the storm tracking up the east coast. Slowly, the storm edged west with the later predictions indicating she would run up the middle of the Florida peninsula. Finally, within the last day prior to Florida landfall, the forecast consensus had Irma tracking up the west coast of Florida. We weathered the storm just north of Tampa. The eye passed just to our east during the middle of the night. We were extremely fortunate that a slight variation in the actual track of the storm placed us on the weak side of the circulation at the same time the storm was beginning to fall apart. We had a few hours of heavy rains accompanied by gusty winds mostly in the 40 knot range. Like most, we lost power and had a few downed trees to deal with but for the most part we came through the storm wiser for the experience but without taking any direct hits. We are all very aware of the potential devastation that just barely sidestepped us. Our thoughts and prayers continue to go out to all those affected by the storm. Florida, the islands, and those living and cruising in Florida and the Caribbean islands, are a resilient bunch. Communities have already banded together to address immediate needs and start the lengthy rebuilding process. Click here for additional photos, and to see several prominent business owners (including the infamous Soggy Dollar, Foxy’s, Corsairs, Willie T’s) who have already vowed to rebuild! This entry was posted in British Virgin Islands, Puerto Rico, St. Barthelemy (a.k.a. St. Bart), St. Lucia, St. Martin, St. Martin and tagged Barbuda, British Virgin Islands, Florida, Hurricane Irma, Pilots Discretion, Puerto Rico, St. Bart, St. Lucia, St. Maartin, St. Martin, The Crew on September 14, 2017 by Theresa. Tell them Pilot’s Discretion sent you!